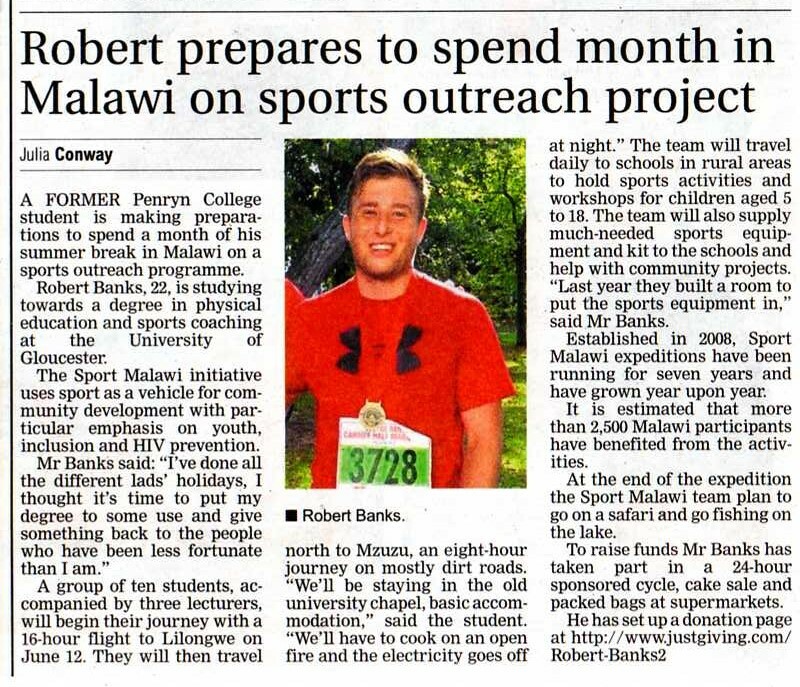 A student from Penryn is making preparations to spend a month of his summer break working in Malawi on a sports outreach programme. 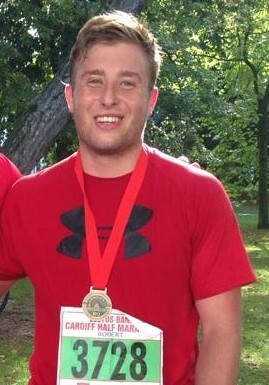 Robert Banks, 22, a former Penryn College pupil has just completed his second year at the University of Gloucester where he is studying towards a degree in Physical Education and Sports Coaching. A group of ten students accompanied by three lecturers begin their journey with a 16 hour flight to Lilongwe on 12 June. They will then travel north to Mzuzu, an eight hour journey on mostly dirt roads. “We’ll be staying in the old university chapel, basic accommodation. We’ll have to cook on an open fire and the electricity goes off at night,” added Mr Banks. The team will travel daily to schools in rural areas to hold sports activities and workshops for children aged five to 18. The team supplies much needed sports equipment and kit to the schools. They also help with community projects. “Last year they built a room to put the sports equipment in,” said Mr Banks. Established in 2008, Sport Malawi expeditions have been running for seven years and have grown year upon year. It is estimated that more than 2,500 Malawi participants have benefited from the activities. At the end of the expedition the Sport Malawi team plan to go on a safari and go fishing on the lake.